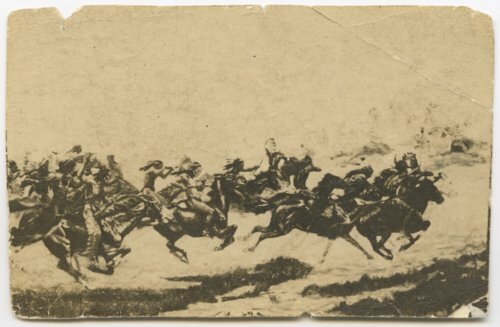 A drawing depicting the Battle of Little Bighorn on June 26, 1876. It is unclear whether the painter is Cassilly Adams or Theodore B. Pitman. Funds for digitization provided by Mr. Steve Peckel in memory of William Chalfant.